Installing a garage door isn’t rocket science. If you have all the important tools with you, you can easily install the garage door on your own. In this article, we’ll describe a step-by-step procedure you need to follow in order to install the garage door on your own. So, let’s get started. Before you go to purchase the panels, you need to measure the size of your garage door opening accurately. Depending on the width and length of the garage door opening, you need to order the panels that can easily fit there. If you need some help about measuring the garage door opening, you need to take help from reliable garage door services like Kelly Garage Doors. The rollers play an essential role in the movement of garage doors. So, you need to install them carefully. Make sure that rollers are perfectly aligned otherwise, the garage door won’t operate properly. The hinges need to be adjusted properly before they are fastened. So, you need to use a power drill with a screwdriver tip so that you do not make a mistake. It usually takes a lot of time to fasten the hinges if you aren’t using the accurate tools. So, you need to make proper arrangements before you start the installation process. The power drill will make this super easy for you. And you won’t face any problem while adjusting the hinges. It’s time to attach the jamb brackets as they are going to play an essential role in operating the garage door. However, you shouldn’t fix them tightly at this stage as you might have to adjust the tracks after a few steps. Now, you need to bolt the pieces of curved and horizontal tracks and install them at an average height. It’s really important to check the levels of horizontal tracks during installation as it may cause some problem in opening and closing the garage door. Make sure the track hanger is properly attached to the curved tracks. And the hanger should also be attached to a solid surface so that it doesn’t lose control due to excessive pressure. 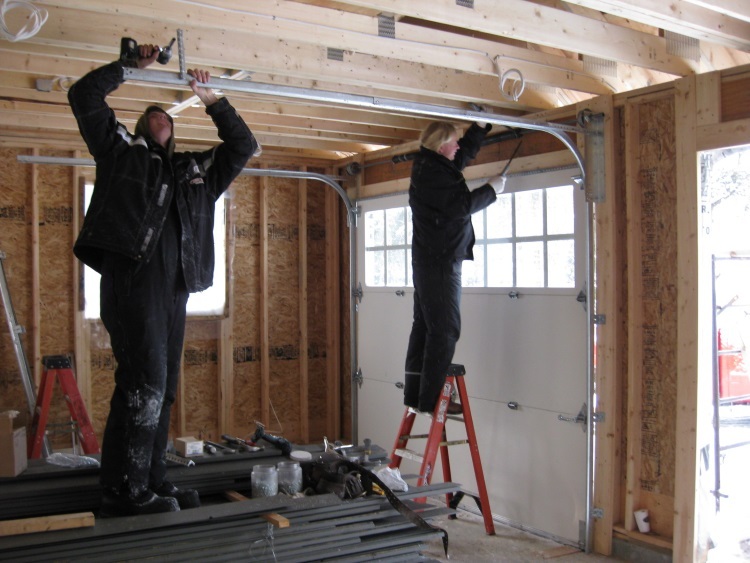 These are the most basic and important steps you must take when installing a garage door. If you need more information about tools that are required for this project, please leave us a comment below.